Anyway, Foxsister rules, definitely check it out if you haven’t been. 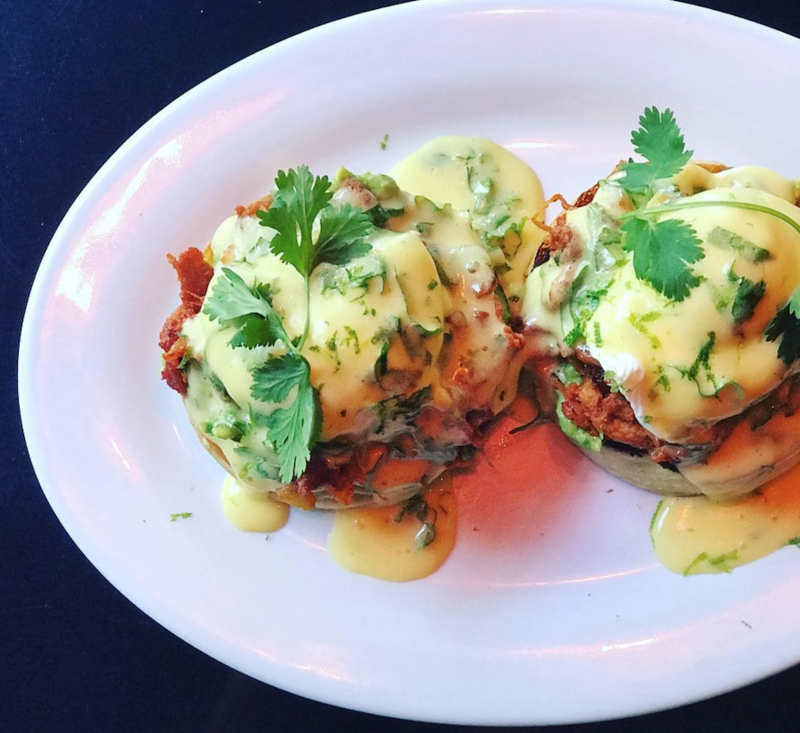 And also they just started doing brunch on Saturdays and Sundays 11am-3pm and the brunch is real good. I know it’s a long way til the weekend, but pencil it in now so you don’t forget — and start saving up appetite. 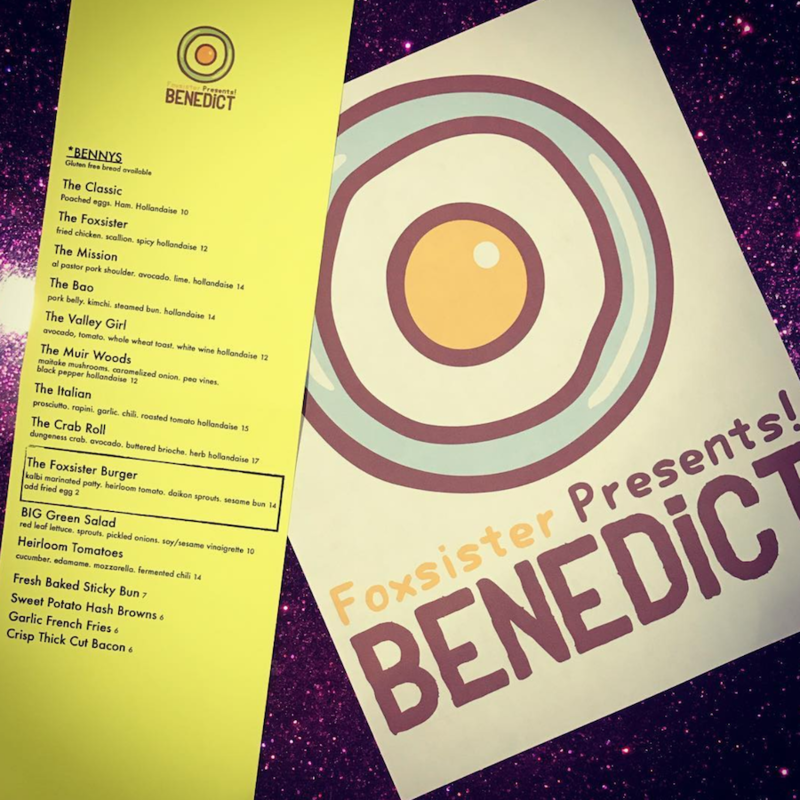 The fried chicken Benedict was REAL good, and the burger (only available at brunch) knocked our socks off. Plus the atmosphere (and four frozen drink options and cheap Hites) are perfect for brunchtime.